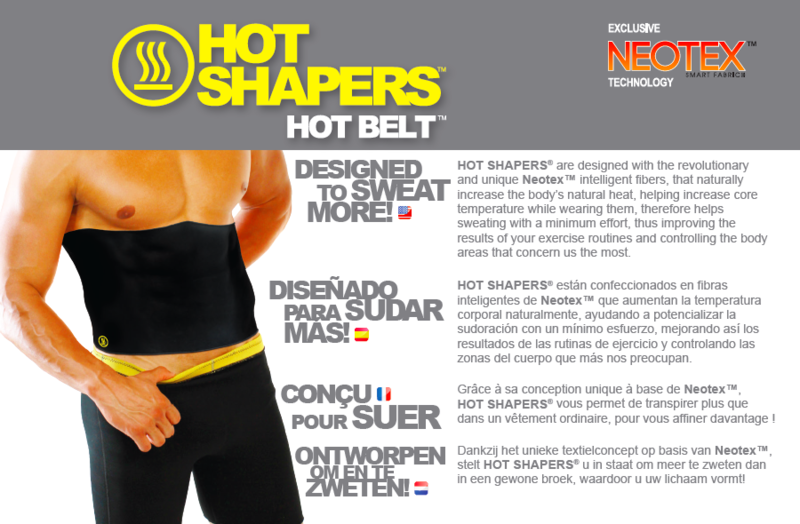 What’s HOT BELT™ Hot Shapers® ? Hot BELT™ are fitness for everyday wear, with NEOTEX® smart fabrics technology that increases core temperature helping your body sweat, sweat, sweat & sweat more while wearing them during daily activities. The NEOTEX® smart fabrics technology in HOT BELT™ increases core temperature during your daily activities, at home, exercise, sports, walk, run, baby walk or any physical activity. It’s all about being in shape. We suggest that wearing Hot Shapers® Hot BELT™ shall be complemented with a healthy diet and good hydration.